From the studio who brought you MAKURA & MAHORAGA, ADVENT of MARVELOUS LEAGUE-ANTIRA and other high end 1/6 scale action figure comes to a new chapter and size! Like momma said, size doesn’t matter as long as you know what to do with it, HA. 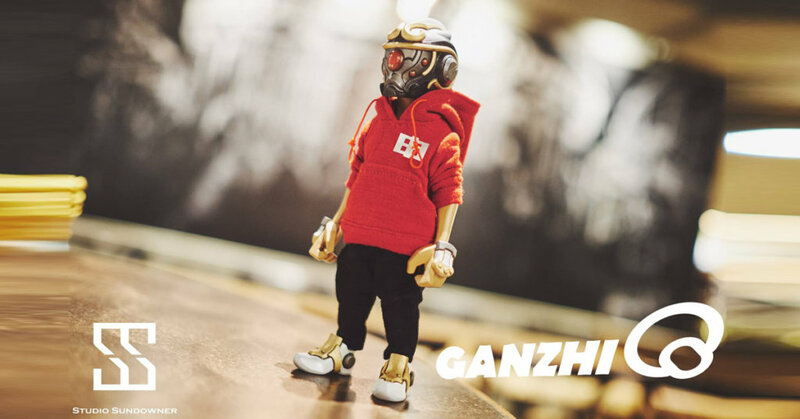 GANZHIQ (干支Q) is a new creation based on ” Advent of Marvelous League “(未來干支) , the character has been transformed into the mini size (about 19 cm) , for use with the newly developed movable body, Studio Sundowner presents to you the CHIBITYPE-01 series. The parts can be interchanged with the other figures in the series as well as the accessories via the universal contact points. It makes the figure style more abundant and playable. Pre-order opens: 5th January 11:00am Taiwan time.